New Delhi: The country’s airports regulator, countering official criticism that it was acting against the interests of airports built under public-private partnerships (PPP), has said passenger interests need to be considered while providing for a fair return on investment. Sharing benefits: A file photo of passengers at the Hyderabad international airport. Differences have cropped up between private airports and Aera on how tariffs should be decided. Photo by Bharath Sai/Mint. “Aera does not see its regulatory approach as militating against the financial interest of the airport operators," Bhave said in the letter, reviewed by Mint, adding that the ministry of civil aviation’s (MoCA) observation came as a surprise. The aviation ministry recently sent a note to the Prime Minister’s Office indicating “the present regulatory approach of Aera is not conducive for the healthy growth of PPP mode airports", according to Bhave’s letter. “Aera, on its part, has also from time to time actively sought the views of government and particularly in the context of its regulatory approach, apart from issues specific to a particular airport. MoCA has so far not given any views or indication that Aera’s regulatory approach is not conducive for healthy growth of PPP model airports," Bhave wrote in his letter. The ministry said the note did not reflect its view, but that of private airport operators. “We have no view," said a ministry official who declined to be identified. “For any grievances of the airports, there is already an appellate tribunal. There is no question of our coming into the regulatory approach." The airports built under public-private partnership are GMR Infrastructure Ltd’s Delhi International Airport Pvt. Ltd and GMR Hyderabad International Airport Pvt. Ltd; GVK Power and Infrastructure Ltd’s Mumbai International Airport Pvt. Ltd and Bengaluru International Airport Pvt. Ltd; and Cochin International Airport Ltd, also run by a private operator. Other airports in India are managed by the Airports Authority of India (AAI) and the Indian Air Force. Differences have cropped up between these airports and Aera on how tariffs should be decided. Aera, which came into existence in late 2009, wants a single-till approach to deciding airport tariffs, aimed at lowering the development fees these new airports collect from passengers. The airports want a dual-till or a middle-of-the-road hybrid approach that will still increase the burden on airlines and passengers. Passengers need to come first, the regulator said. “When almost the entire non-aero is contributed by the passengers, Aera felt that the advantage of surpluses arising therefrom should also benefit the passengers in terms of lowering of their charges, notably UDF (user development fee). In the Indian context, choosing between single-till and hybrid-till is not really an issue of sharing surpluses between airlines and airports, but between passengers and airports. Under single-till, UDF will generally be the lowest," Aera said in its letter. In his defence on the viability of airports, Bhave said the private airports under Aera’s jurisdiction, except the Delhi airport, are profitable, viable and sustainable. Delhi International Airport’s cash-flow problems do not arise “on account of Aera’s regulatory approach, but according to the airport operator, primarily on account of large revenue share", Bhave said. The airport operator, which has spent $3 billion (nearly ₹ 15,000 crore today) in modernization between 2006 and 2010, has to share 46% of its total revenue with AAI as a part of the privatization agreement of 2006. Bhave said Aera was awaiting the view of the ministry on various issues, including the rate of return on equity that airport investors should get. “During our past meetings, I had requested you to let us have your views on the fair rate of return on equity. You had indicated that this is within the ambit of Aera, and Aera may take an appropriate call," Bhave wrote in his letter, adding that the Hyderabad airport operator has been granted a 18.33% return while the Delhi airport operator was seeking a 24% return to its investors. G.R. Gopinath, the founder of erstwhile low-cost carrier Air Deccan, said that while India needs swanky airports and the investors need fair returns, the passenger should drive policy. “We definitely need these modern airports from the cowsheds we earlier had," he said, referring to the Delhi, Bangalore and Hyderabad airports. “But we have to ensure they now don’t become a stumbling block for growth. The government has to ensure it doesn’t become a real estate game; at the same time, the investor (should) get a fair return. They have to ensure the biggest stakeholders are the passengers." 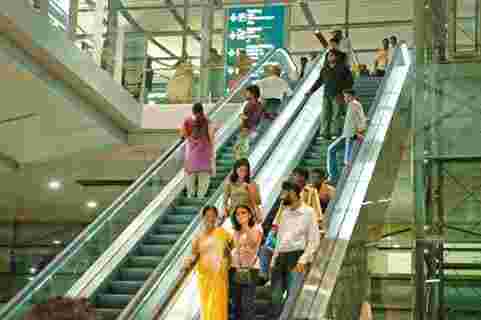 Gopinath suggested more competition among airports. “We have to have aggressive privatization, but not cartelization."